Through most of my career as a journalist and author, I've written, not about Italian, but about health (la salute). In what I think of as my day job (il mio vero lavoro), I've authored 18 full-length and 10 brief editions of the best-selling college health textbook, An Invitation to Health. “If you’ve got your health, you’ve got everything” (Quando c’è la salute, c’è tutto) my mother used to say. She was right. Nothing is more valuable than a healthy mind in a healthy body (mente sana in corpo sano, from the Latin mens sana in corpore sano). English speakers strive to be healthy as a horse; Italians, to be healthy as a fish (sano come un pesce). “Salute!“ Italians say when someone sneezes. What more could you wish someone than to be in buona or ottima salute (good or excellent health) or pieno di salute (full of health)? Who wouldn't want to scoppiare di salute (burst with health) or sprizzare salute da tutti i pori (squirt health from all pores)? Lots of us aspire to be in piena forma (in full or perfect shape) or at least to avoid acciacchi (aches and pains). 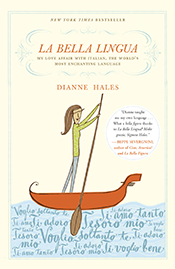 But being in bad shape (essere in cattiva forma) inspires a host of colorful idioms in Italian. If you have un brutta cera (literally a bad wax), you may stare poco bene (be just a bit well) or non sentirsi molto in forma (not feel in very good shape). Those who ammalarsi gravemente (are gravely ill) may avere un piede nella tomba (have one foot in the grave), essere spacciato (be done for), essere sul letto di morte (be on one’s deathbed), or essere tra la vita e la morte (be between life and death. If you find yourself in such dire straits, you must guardare la morte in faccia (look death in the face) and reggere l’anima coi denti (hold on to your soul with your teeth). With luck and good care, you soon will rimettersi in salute (put yourself back into health). Staying healthy (rimanere in buona salute) isn’t complicated. Go for a check-up (visita medica di controllo) regularly. Don't smoke (non fumare). Eat at least five servings of fruits and vegetables a day (cinque porzioni di frutta e verdura al giorno). Watch your weight (stai attento al tuo peso). Set aside time every day for exercise (attività fisica) as well as for silence and repose (silenzio e riposo). 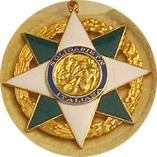 Guarisci presto! -– Get well soon! Cent’anni! Cento di questi giorni! A hundred years--and many more! This is a common birthday greeting in Italy, but for the residents (abitanti) of Acciaroli on the Cilento coast about 85 miles south of Naples, it’s not just a wish. One in ten (uno su dieci) of its residents live to—and often beyond—one hundred years. Walking around the seaside town (la città balneare) a few months ago, my husband and I noticed that many of the townspeople are old—very, very old (vecchie--molto molto vecchie). With sun-leathered skin, the men tend to have paunches (avere la pancia). Smoking is common. No one seems to jog or engage in any form of intensive exercise (in qualsiasi forma di attivita’ fisica intensa). Yet the rates (tassi) of heart disease, Alzheimer’s and age-related problems such as cataracts are low. So how do these villagers manage to live so long in such good health? For the last few years medical scientists from Rome’s La Sapienza and the University of California, San Diego have been studying the locals to identify the secrets of their longevity (i segreti della loro longevità). Some clues are in their blood (nel loro sangue). Many of Acciaroli’s seniors have low levels of a hormone called adrenomedullin, which helps prevent narrowing of the blood vessels (il restringimento dei vasi sanguigni) and its consequences. This benefit may come from their Mediterranean diet (la dieta mediterranea), with lots of fish, olive oil, fresh produce and wine. Although many Italians follow this pattern, the Acciarolesi consume two particular items—anchovies (acciughe) and rosemary (rosmarino)—just about every day. Like other oily fish, anchovies are rich in antioxidants (antiossidanti), which help lower cholesterol (colesterolo), reduce inflammation (le infiammazioni) and slow down the aging process (l‘invecchiamento). Rosemary, which pops up as a garnish or condiment in most local recipes, may increase blood flow to the brain (il flusso di sangue al cervello), boosting concentration and memory. *Eliminate stress whenever and however you can. Set aside quiet times to decompress (momenti tranquilli per rilassarsi) during the day. *Eat more fish, fruit and fresh vegetables (verdure fresche) and fewer processed foods. *Use more olive oil (olio d’olivao) and less butter (burro). *Be more active (più attivi). Build some form of aerobic exercise—walking, biking, swimming—into your schedule. *Connect with others. Share moments and meals with family or friends. Remember the Italian proverb: A tavola non si invecchia mai. One never gets old at the dining table. Summer in the Italian Language: Bug Off! In Italy as elsewhere, the least welcome of summer guests are gli insetti. For centuries the infamous marshes of the Maremma, the western part of Tuscany, were a breeding ground for mosquitoes that infected thousands of people — travelers as well as residents — with malaria. Among those fatally stricken were Eleonora di Toledo, wife of the Grand Duke of Tuscany Cosimo I de’Medici. She died of malaria along with two of their sons after a hunting trip in 1562. You can try swatting, but you're likely to end up, as Italians say after any fruitless endeavor, con un pugno di mosche (with a handful of flies, or empty-handed). For self-protection, I turn to two modern products that could have changed Maremma’s history: Baygon, an industrial-strength bug killer (insetticida) so potent that it sizzles when it hits the pavement, and Autan, an insect repellant (repellente per insetti) that I coat myself with from head to toe. If I could, I’d retreat behind a zanzariera (mosquito net or curtain) day and night. Some might accuse me of fare d’una mosca un elefante (making an elephant out of a fly -- or a mountain out of a molehill) or prendere un fucile per acchiappare una mosca (taking a rifle to shoot a fly). But nothing quite literally bugs me -- fa saltar la mosca al naso (literally makes the fly jump at the nose) —more than bug bites (punture d’ insetto). However, there’s no way to keep un pezzo grosso (a big bug) from flitting into a conversation — not even with a cry of “Zitto e mosca!” (a colloquial way of saying “Keep quiet!”). When things get so still that you could hear a pin drop, Italians say, “Non si sentiva volare una mosca” (you could hear a fly flying). In Italian, as in English, si prendono più mosche con una goccia di miele che con un barile d’aceto (you can catch more flies with a drop of honey than with a barrel of vinegar). But if someone says, “Non fare il pidocchioso!” they’re not calling you a louse, just urging you not to be stingy. Un pidocchio rifatto -- parvenu, someone newly rich who shows off his wealth without any elegance. 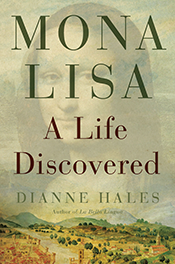 Dianne Hales is author of MONA LISA: A Life Discovered and the New York Times best-selling LA BELLA LINGUA: My Love Affair with Italian, the World's Most Enchanting Language. *The Mediterranean diet. La dieta mediterranea emphasizes nutritious foods such as fish (pesce), fresh vegetables (verdure fresche), fruit (frutta) and olive oil (olio d'oliva). *Moderate alcohol use. Italians mainly drink alcoholic beverages (bevande alcoliche) with meals. Most popular is red wine (vino rosso), which has proven health benefits (benefici per la salute). *An active lifestyle. Exercise (l'esercizio) is built into the daily routine (routine quotidiana) of many Italians, who often walk to work, shops and schools and take an evening stroll (passeggiata). *Family ties. Most Italians eat dinners together at the same time (insieme allo stesso orario). This in itself may instill a sense of well-being and comfort (una sensazione di benessere e di comfort). La salute prima di tutto! (Health is first of all!) Italians say. When someone sneezes, they call out “Salute!” What more could you wish someone than to be in buona or ottima salute (good or excellent health) or pieno di salute (full of health)? When you’ve got your health, you’ve got everything. (Quando c’è la salute, c’è tutto.) Nothing is more valuable than a healthy mind in a healthy body (mente sana in corpo sano, from the Latin mens sana in corpore sano). But while English speakers strive to be healthy as a horse, Italians aim to be healthy as a fish (sano come un pesce). Being in bad shape (essere in cattiva forma) inspires a host of colorful idioms. If you have un brutta cera (literally a bad wax), you may stare poco bene (be just a little well) or non sentirsi molto in forma (not feel in very good shape). Those who ammalarsi gravemente (get gravely ill) may avere un piede nella fossa (have one foot in the grave), essere spacciato (be done for), essere sul letto di morte (be on one’s deathbed) or essere tra la vita e la morte (be between life and death). Una mela al giorno leva il medico di torno -- An apple a day keeps the doctor away. In English a heart “breaks” just like a dropped glass. Italian gives il cuore (the heart) a word of its own—spezzare—when it shatters into bits. The pain is like no other. “Mi piange il cuore,” a rejected or dejected lover may say. My heart weeps. Of course, no love is greater than a mother’s (l’amore della mamma). And so when Hollywood icon Debbie Reynolds died the day after her beloved daughter Carrie Fisher, my Italian friends speculated that the culprit was crepacuore or “heartbreak,” a verified medical diagnosis. “Crepacuore non è solo un modo di dire, è una vera è propria malattia” (Heartbreak is not only a figure of speech but a true and actual malady), say researchers at the Institute of Cardiology at the Catholic University-Policlinico Gemelli in Rome, who have studied the condition known as “broken heart syndrome” or, more formally, stress-induced cardiomyopathy (cardiomiopatia da stress). The Japanese call this disorder takotsubo cardiomyopathy because the weakened heart swells like a balloon (un palloncino) and assumes a bulging shape similar to that of an octopus trap or tako tsubo. La sindrome da crepacuore mainly strikes women, who outnumbered men by a ratio of nine to one in the Italian study. As the researchers reported in the New England Journal of Medicine, crepacuore occurs most often dopo uno stress emotivo, tipicamente un lutto (after an emotional stress, typically grief after a death). The symptoms (i sintomi) of crepacuore are similar to those of a heart attack (infarto), including chest pain (dolore al petto) and shortness of breath (fiato corto). The stress hormones released by a traumatic experience–-emotional or physical—can “stun” (stordire) the heart and affect its ability to pump blood to the body (pompare sangue al corpo). The “stunning” effects reverse quickly, often within a few days or weeks. In most cases, there is no lasting damage (danno) to the heart. However, as the doctors noted, “la sindrome da crepacuore non è una patologia benigna come ritenuto finora.” (Broken heart syndrome is not a benign pathology as was previously thought.) "La prognosi per questi pazienti è simile a quella dei pazienti con infarto." (The prognosis for these patients is similar to that of patients with heart attacks.) About 12 percent develop a grave condition called cardiac shock (shock cardiaco or choc cardiogeno). An estimated five percent die. When something really matters, Italians say that it “sta molto a cuore” (is deep in one’s heart). And what can matter more than il cuore stesso (the heart itself)? trenta cavallini bianchi e piccolini sempre sull’attenti. Thirty little white ponies always standing at attention. In every language, teeth come in various shapes and forms: denti da latte (baby teeth), denti del giudizio (wisdom teeth), canini (canines or eye teeth), denti molari (molars or back teeth) and sometimes denti sporgenti (“buck” teeth) -- called denti da coniglio (rabbit teeth) or denti da cavallo (horse teeth) in Italian slang. We all would like to keep una dentatura completa (a complete set of teeth) as long as possible, but at some point a person may end up with una dentiera (dentures) or denti artificiali (false teeth) – or, far worse, sdentata (toothless). Don’t forget floss (filo interdentale) to clean between the teeth (fra i denti). I prefer toothpicks—if only for the delight of saying stuzzicadenti (from the verb stuzzicare, which means to poke, prod, vex, tease, allure or stimulate) or stecchino, which always reminds me of Roberto Benigni in his film role as Johnny Stecchino ("Johnny Toothpick"). For the sake of igiene orale (oral hygiene), you should visit a dentista (dentist) regularly for pulizia dei denti (teeth cleaning) or sbiancamento dentale (teeth whitening). In case of mal di denti (toothache), you may need an estrazione (extraction), devitalizzazione (root canal), corona (dental crown), ponte (bridge) or impianto dentale (dental implant). If you spend enough time in Italy, you’ll soon learn to cook pasta al dente (to the tooth) so it’s somewhat firm. If you’d like to grab a bite, you would say you want to mettere qualcosa sotto i denti corona (put something under the teeth). But wherever you eat in Italy, you need not fear that you’ll be left hungry (a denti asciutti—literally with dry teeth). You’re more likely to find yourself leccarsi le labbra (licking your lips). In English, something may not be your cup of tea, but in Italian, non è pane per i tuoi denti (it’s not bread to your teeth). If you mutter, you’re said to parlare tra i denti (speak between the teeth). An outspoken individual speaks fuori dai denti (speaks outside the teeth). If you do something unwillingly, you do it a denti stretti (with clenched teeth). If you are holding a grudge, you have il dente avvelenato (the poisoned tooth). If you are seriously ill, you might have to regger l’anima coi denti (hold onto your soul with your teeth). In other perilous situations, you must fight for your life con le unghie e coi denti (with nails and teeth—or “tooth and nail” in English). If it’s after hours and not a matter of life or death, the best place to turn is la Guardia Medica, a sort of walk-in clinic available to anyone in every city after doctors’ offices close in the evening. Many tourist sites, such as popular beaches and ski resorts, have a Guardia Medica turistica, available to all day and night -- including foreigners, whether or not they have assicurazione medica di viaggio (travel health insurance). All patients usually are responsible for a co-payment. In caso di vera emergenza (in case of a true emergency), whether an accident (incidente), injury (infortunio) or illness (malattia), you can call 118, the Italian equivalent of 911, or go to a Pronto Soccorso (the emergency department) at a local hospital. Never hesitate to call for help (aiuto) if you think the problem might be a heart attack (infarto), stroke (ictus), appendicitis (appendicite), fracture (frattura), asthma attack (attacco d’asma), food poisoning (intossicazione alimentare) or another disturbo grave (serious disorder). Most doctors (medici) speak some English, but they may ask you “Dove fa male?” (Where does it hurt?). You can always point and say, “Mi fa male qui” (It hurts here). However, it helps to be able to identify the troubling body part in Italian: occhio (eye), orecchio (ear), cuore (heart), petto or torace (chest), gola (throat), collo (neck), gomito (elbow), braccio (arm), spalla (shoulder), gamba (leg), ginocchio (knee), piede (foot), pelle (skin). If you have a chronic health problem, learn how to say “I’m a diabetic” (Sono diabetico) or “I have a heart condition" (Ho disturbi cardiaci) or “I have high blood pressure” (Ho la pressione alta). If something goes wrong, say, "Ho bisogno di un medico" (I need a doctor). Bring any prescriptions (ricette mediche) with you, and learn the generic as well as the brand names of any drugs (farmaci / medicine) that you take. Whenever and wherever you feel under the weather, take it easy. As Italians say, “Il letto è già una medicina.” Bed, or rest, is already a treatment. Sometimes the most reassuring sight in Italy is the bright green cross (croce verde) of the local pharmacy (farmacia). Italian pharmacies, calm even when crowded, function as mini-clinics, and many Italians consult a trusted pharmacist (farmacista di fiducia) before calling a doctor (medico). Whether you’re suffering from a headache (mal di testa), an upset stomach (mal di stomaco), a sprain (storta) or any form of pain (dolore), il (or la) farmacista will listen to your problem (problema), evaluate your symptoms (sintomi) and suggest a remedy (rimedio), including some medications (le medicine) that require a prescription (ricetta medica or "medical recipe") in the United States. If you develop an adverse drug reaction (allergia al farmaco), be sure to return and report it as soon as possible. If you prefer more natural remedies (rimedi naturali) for minor issues, you can go to an erboristeria. The erborista will mix herbs to help you relax, sleep, digest or feel less pain. You can also find homeopathic remedies and Chinese medicine (la medicina cinese). Le farmacie sell anything related to health or hygiene, including bandages (bende), razors (rasoi), sanitary napkins (assorbenti), condoms (preservativi), thermometers (termometri), cough drops (pastiglie per la tosse), pain killers (analgesici or antidolorifici) and ointments (pomate or unguenti) for everything from wrinkles to weight loss. You can also buy contact lenses or get injections if needed. By law at least one local pharmacy must be available after business hours. If you need medicine at night or on a Sunday or holiday, ask for le farmacie di turno or check the sign posted at the nearest pharmacy for a phone number to call. While waiting in line at our local farmacia, I’ve learned the words for all sorts of problems: taglio (cut), ferita (wound, usually with blood), livido (bruise), strappo muscolare (pulled muscle), febbre alta (high fever), indigestione (indigestion) and ustione (burn). I’ve also met an Italian ipocondriaco (hypochondriac) or two. Some medical problems, such as l’asma (asthma), l’artrite (arthritis) and diarrea (diarrhea), have similar names in English and Italian. Others may make their victims just as miserable but undeniably sound better in Italian: tosse ( cough), pressione alta (hypertension), capogiro (spinning head or dizziness), stitichezza (constipation). I heard my favorite Italian euphemism for a bodily function at a farmacia from a little boy who wrinkled his nose and asked his mother: “Chi fa il profumino?” (Who is making the little perfume—that is, passing gas?) It reminded me that il riso fa buon sangue. Laughter makes good blood or, as we would say In English, good medicine.